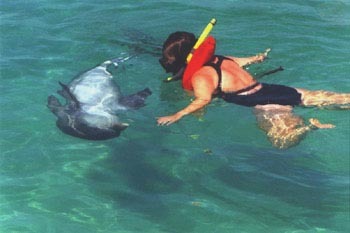 A University of Montreal student in Child and Youth Care Work (translated from the French: psychoeducation), previous Water Planet intern, has spent the month of June and July of 2004 and the summer of 2005 in Panama City for the field research portion of a Masters thesis meant to shed some light on the subject of Dolphin Assisted Therapy. The subject of her dissertation is “The impact of the Water Planet Harmony Program on the adaptative behaviors of children with pervasive developmental disorders”. 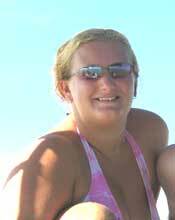 Genevieve David had selected Panama City Beach and Water Planet’s Harmony Program as a platform for her data collection. Specific screening criteria (outline below) were used to select a limited number of children, who were observed and video taped in their daily activities before and after they travelled to Florida. 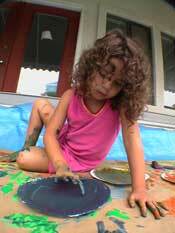 Genevieve interviewed the parents in order to corroborate the child’s behaviors. The children were sporadically video taped during their week at Water Planet. Back in Quebec, Genevieve has analyzed the data collected on the children’s behavior by running it through a standardized cipher stencil. This was done in conjunction with another interview with the parents to have their perception of the child’s behavior after their week with Water Planet. Follow up interviews with the parents were conducted 1 months, 3 months and 6 months after the program at Water Planet. The children were signed up with their parents to a 1-week structured program (Harmony) in Panama City Beach, Florida. During the week, four 4-hour boat trips gave the children and their families the opportunity to have close in-water encounters with wild bottlenose dolphins in their natural environment along the beaches of Shell Island on the Gulf of Mexico. All the activities were facilitated and supervised by qualified staff. The children were not forced to get in the water. They did it at their own pace. The second half of the day was spent on land with a series of sensory stimulation workshops including expressive arts, aquatic bodywork and musical games. 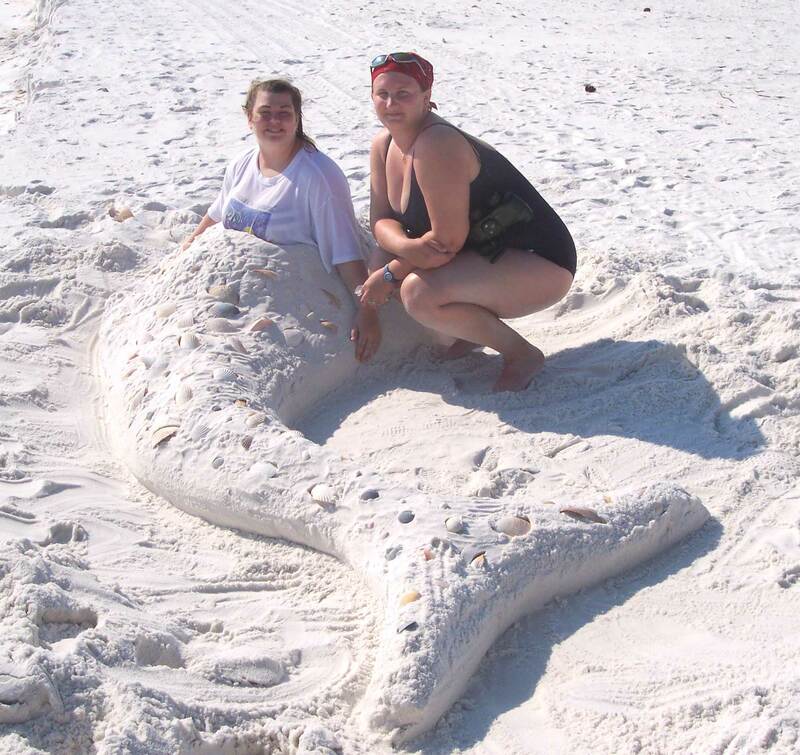 The main theme was of course dolphins and the marine environment. The goal of this research project is to verify the assumption that participating in such an intensive sensory integration program including wild dolphin therapies can significantly improve the adaptative behaviors of children with pervasive developmental disorders either by qualitatively or quantitatively improving the child’s ability to communicate, to socialize and/or to improve his/her interests and behaviors. Genevieve David has spent the summer of 2006 in Panam City to continue her data collection in order to broaden and confirm the results of the first part of her study. At the same time, she functioned as Internship and Research Coordinator for Water Planet. Together with the Water Planet management, she has setup and implemented the new interns training program and continued her research data collection. Genevieve David has successfully completed her Masters Degree thesis in the fall of 2007 (contact us for a full version in PDF format in French only). The research project continues and we encourage parents with children diagnosed with PDD to participate.